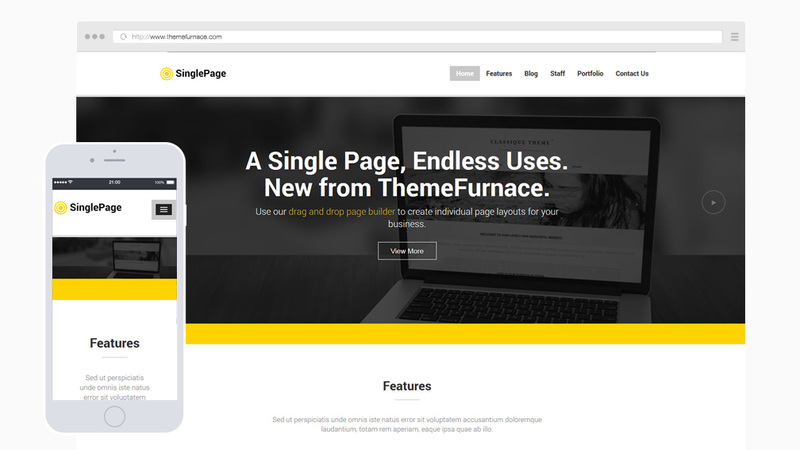 Single page is a business landing page theme built with Angular.JS which means all the content loads in a single page with no page refreshes. Single Page is light-weight, fast loading and also search engine friendly as blog posts, portfolio items are loaded with unique URLS you can still receive visitors from the search engines. It has a responsive slider and makes use of the theme customizer so you can change fonts, colors and other options to tailor it to match your brand. The homepage is completely controlled with widgets so you can drag the sections to create your desired layout and we have included support for the Comprehensive Google Maps plugin so you can create interactive maps to direct people to your location.